Arrow will always have the distinction of being the flagship for the CW's stable of superhero shows. Without the success of this hooded vigilante, we'd never have amazing shows such as Flash and Supergirl. 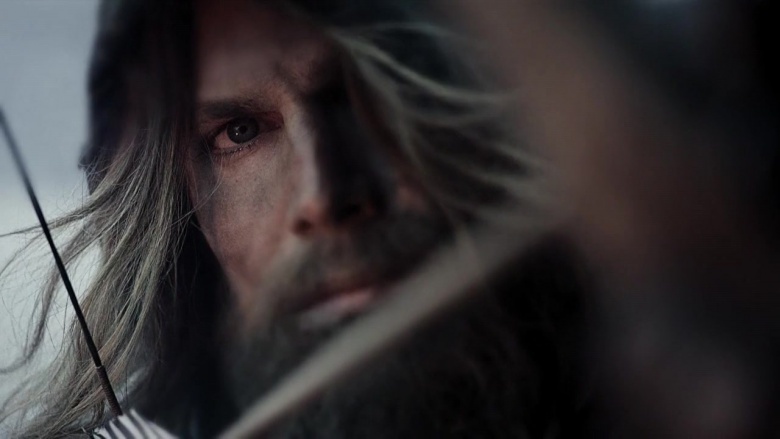 (We also wouldn't have Legends of Tomorrow, so this may be something of a wash.) Superhero fans owe a great debt to the adventures of Oliver Queen and his merry band of sidekicks; unfortunately, the scriptwriters also owe more than a few debts to their fans. This show's plot has more holes than the walls of the Arrow Cave after Oliver's been training. 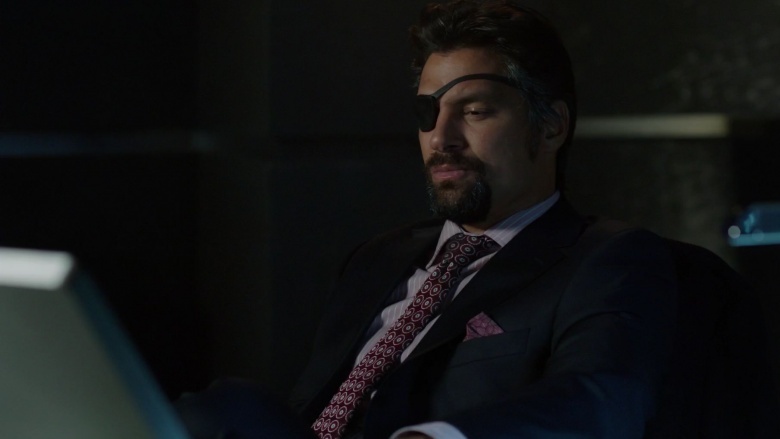 Slade Wilson ("Deathstroke" if you're nasty) is presented in the show as a kind of mirror match for Oliver Queen. Slade, like Oliver, has been through the crucible of the island, and he, too, knows what it's like to lose loved ones. All this is well and good in the world of comic book adaptations: we all remember Iron Man fighting Bigger Iron Man, Spider-Man fighting teethy Spider-Man, etc. What's the plot hole? In addition to being highly trained and super-powered by a World War II-era compound, Slade Wilson is insanely good with computers. 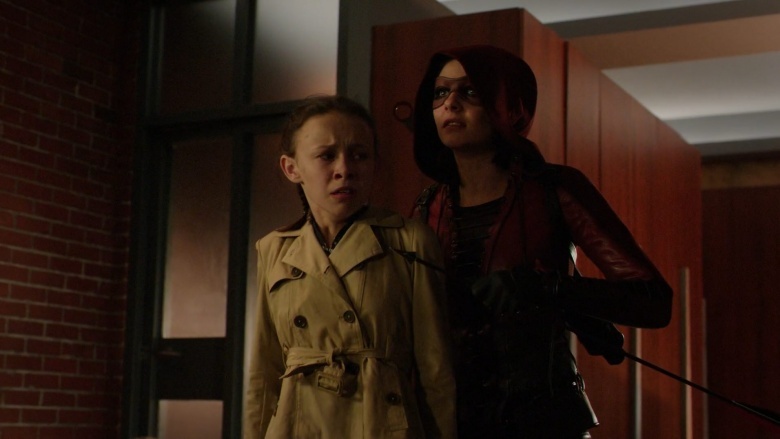 We see him set up perfect surveillance on Oliver Queen, broadcast a distraught Thea to a political debate, and so on. He regularly outwits Felicity Smoak at her own computer game. Smoak is established in the show as an MIT genius who can disarm nuclear bombs with two thumbs and a tablet; how the hell is an unstable super-powered mercenary who spent a good chunk of time stranded in the middle of nowhere keeping up with her? It not only strains credulity, but it makes us start to question Oliver's competence, too: why can Slade do so much on his own that Oliver needs an entire support team to accomplish? Love is always complicated, and it gets more so with superheroes: they must constantly worry about secret identities, supervillains, and how flexible their significant others are with things like vigilante lifestyles and being thrown from tall structures. 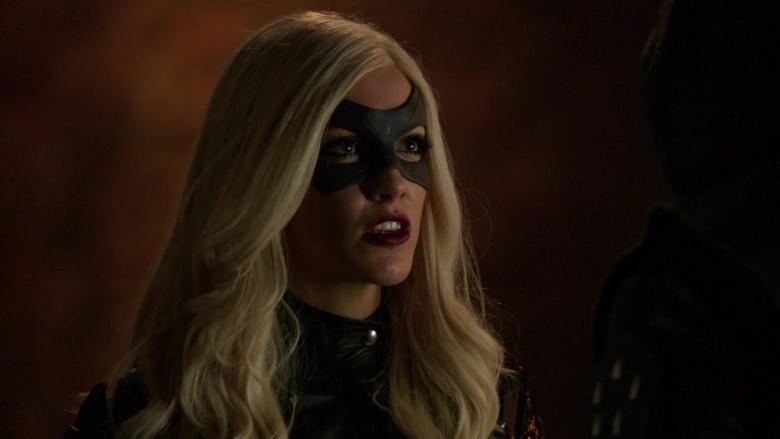 However, Arrow presents us with some head-scratching moments regarding Oliver's love for Laurel Lance. The show first presents Oliver and Laurel as college sweethearts, and ones that were not necessarily that serious (hence, Oliver's affair with Laurel's sister). Later in the show, though, Oliver describes himself as having loved Laurel for half of his life. Not only does this not jibe with his decision to cheat on Laurel with her own sister, but it makes later plot developments seem even unlikelier: how did he find time to get into and out of a relationship with future detective McKenna Hall, the sister of Steve Aoki, develop a relationship with Sarah Lance…oh, and did we mention getting Samantha Clayton pregnant? The show asks us to believe all of these relationships were earnest, and yet Oliver himself claims he loved Laurel the entire time ("half of his life"). That seems even more improbable than those abs, Oliver! The character of Felicity Smoak is beautiful, brilliant, and eminently capable. What's the problem? She's actually so capable that she often borders on Mary Sue territory, and at other times, the writers conveniently forget that capability. One example previously mentioned is that she manages to create a program on the fly to disarm a bunch of nuclear weapons, all while using only a tablet computer. In another instance, we see her crack the ultra-secret ARGUS computers in seconds to gain information and control the facility remotely. With this in mind…why aren't they constantly hacking ARGUS and other such agencies for information about Damien Darhk and other baddies? The honest answer, of course, is that television plots require drama and tension, and all that tension and drama is completely absent when Felicity on a computer may as well be a magic wand the show waves at its plots (and then selectively forgets about that ability). Damien Darhk served as the main Big Bad of season 4, and he was a bit of a mixed bag in this regard. He showed up with the same tired "let's destroy the city for reasons" that had essentially motivated the previous two seasons' worth of villains. One thing that did set him apart was magic, which awkwardly introduced a mystical element to the one CW heroic show that was trying to stay grounded. In fact, it's possible he used this magic to cast a spell on the scriptwriters, because there's absolutely no consistency with how he treats his daughter in the season 4 finale. Early in the episode, Damien is willing to do just about anything to save his daughter, something we see clearly when Speedy is threatening to kill her. Once Damien has her, he proceeds with his plan…which is to drop 15,000 nuclear bombs all over the world. This will certainly kill his daughter…the one that he saved by ceasing his earlier attack on our heroes. If she was going to die all along, why not just let Speedy kill her and then finish killing our heroes? Arguably, having her throat slashed isn't much worse than slowly dying of radiation poisoning. And unlike the viewers at home, she would know with certainty she'd never have to see another pointless flashback sequence. Like many superhero narratives, Arrow has issues with guns. Guns are almost exclusively used by the bad guys, but they'll selectively forget to use them at crucial times. We see that during the same season 4 finale: at first, Damien Darhk has a legion of armed HIVE troops at his command. Later, however, we have a major plot point (majorly awful, that is) that Oliver must channel the powers of positivity and hope in order to defeat the dark energies of Damien Darhk. No, I'm serious: Oliver handles his Big Bad the same way Care Bears and Ghostbusters sequels handle their problems. In order to represent that, we see him inspiring his rioting city by standing on top of a taxi and speechifying. It works, and these motivated citizens end up taking back their own city when they fight Darhk's HIVE troops. These troops are apparently so eager to engage in fisticuffs that they don't just…well…shoot the citizens with their guns. The same citizens they're already trying to kill via nuclear apocalypse. It's utterly bizarre, but par for the same show that once established Oliver Queen can use guns in a non-lethal way with precision accuracy, yet he chooses to use a big, awkward weapon that cannot be easily reloaded. In all fairness, though, "The Green Gun" sounds more like a Lex Luthor art exhibition than a superhero, so Oliver probably made the right call. Amanda Waller is presented in Arrow much as she is later depicted in the Suicide Squad movie: a ruthlessly pragmatic control freak. 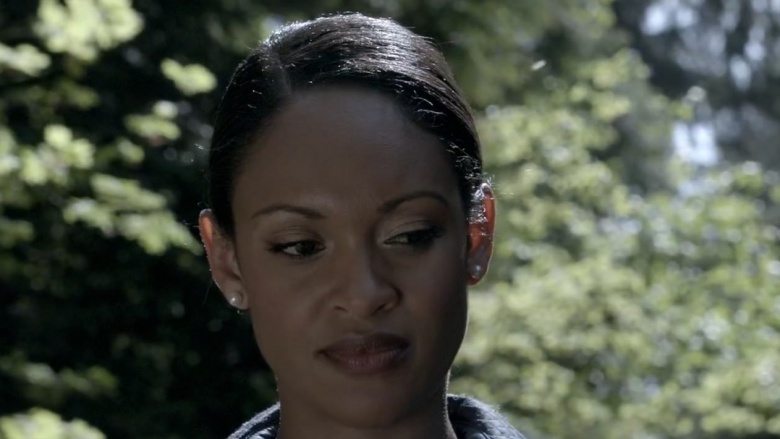 In the case of the show, she turns that ruthless pragmatism towards controlling Oliver Queen. In terms of plot consistency, this results in a bit of a hot mess. For instance, her entire fascination with Oliver seems out of place: she plucks him from the island and provides additional training for seemingly no other reason than she saw he could fight. That one qualification—being good in a fight—applies to pretty much all of the agents under her command. Amanda seems a bit obsessed with Oliver, and is grooming him in the fine arts of torture and murder in Hong Kong when everything goes a bit sideways. Oliver helps save Hong Kong from a chemical attack and Waller seemingly lets him go. She has the resources to track him down and capture him—we know this because she later does so, drugging Oliver and forcing him back to the island in order to infiltrate a drug cartel at her request. The question remains: why did she let him go in the first place? Why let a loose end with loads of state secrets just wander around until she needs him? And once he has completed his mission on the island, Waller expresses interest in using him for more, but he chooses to stay behind (to conveniently catch viewers up with the flashbacks from season one) and Waller once again simply lets him go. This is wildly inconsistent with her persona and makes about as much sense as Oliver's greasy face paint obscuring his identity early in the show's history. 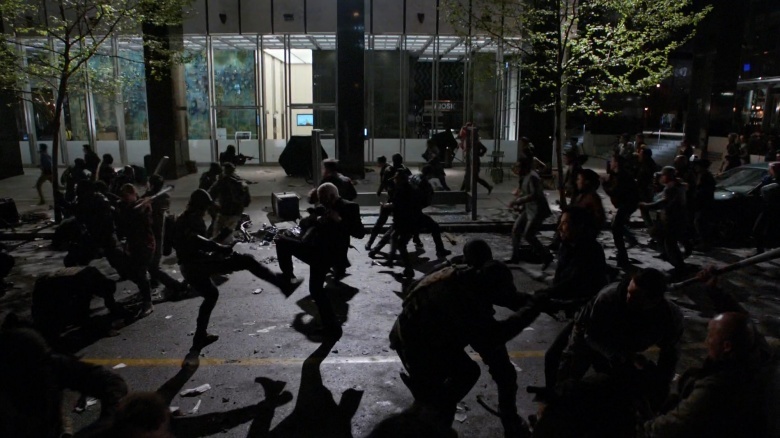 Plot holes in superhero movies and TV shows can often feel like moving targets. This is because these shows, like the comics they are based on, are soap operas on steroids: what seems to be a plot hole in one season will be retconned later as part of someone's plan. On rare occasions, though, the showrunners themselves confirm a really egregious error, and this happened with the episode "Suicidal Tendencies." 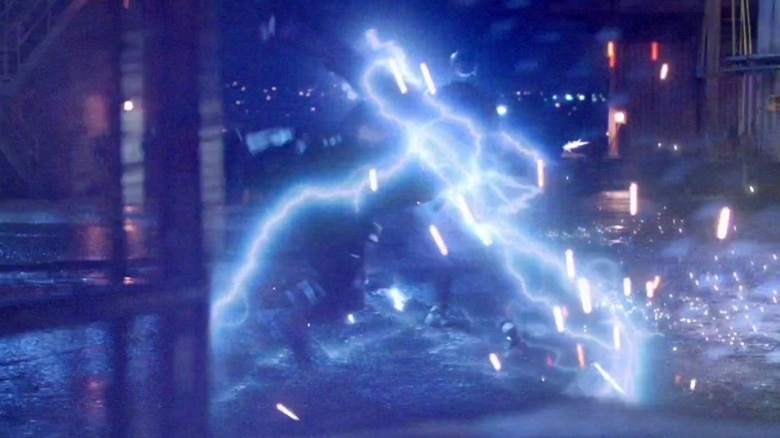 The episode involved an out-of-control Ray Palmer using his not-quite-Iron Man suit to zap hunky sidekick Roy. We see Roy get zapped, we see him apparently knocked out, and then we don't see him again. Like, for the rest of the episode. As far as Oliver knows, his sidekick is seriously wounded and possibly dead, and he doesn't even check on him. After enough fans complained, showrunner Marc Guggenheim personally responded, oscillating between simple apologies ("wasn't our finest hour") to more blunt ones ("we f*#@ed up"). Fans needn't have worried, though: no Abercrombie and Fitch models were actually hurt in the production of this episode. Speaking of moving targets, Oliver's half-sister Thea has changed a lot over the series. Tune in to a random season and you might see a #damaged party girl, a pragmatic business woman, or a ruthless vigilante. This plot hole is pretty direct, and it comes courtesy of Thea's time running a successful club within the city. Oliver decided to embrace the "hide in plain sight" mantra as literally as possible and built his high-tech base of operations directly underneath the club. 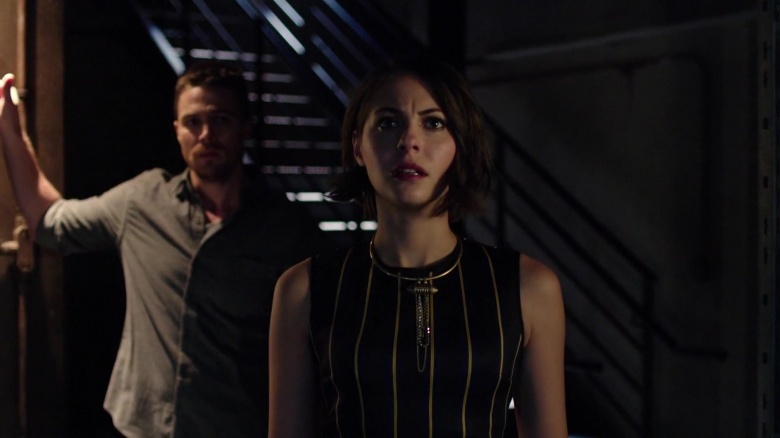 While the wisdom of doing this is a miniature plot hole in itself (every near discovery by the police or other forces can be traced to Oliver's decision to not use literally ANYWHERE else that is not surrounded at all times by family and/or clubgoers), viewers are left wondering how the hell Thea didn't discover the base. The idea of her not being more curious about a mysterious door in a business that she knows like the back of her hand is literally unbelievable, and she doesn't connect the arrow-shaped dots until Oliver explains everything to her. This room never came up as part of doing inventory? As part of general health and safety inspections? At least Batman is smart enough to hide his base under his own damn house AND behind a password-protected clock, Oliver! One of the major conceits of Arrow is that Oliver is a superhero because of his insane training and experience. This is the conceit, really—when we see a guy with just a bow take out a room full of armed henchmen, we are asked to accept that this makes sense because of his training. As Oliver's hero crew expanded, we also accepted John Diggle—he's a military veteran turned bodyguard who trains with Oliver, so it makes sense that he can hold his own. We even accept Sarah Lance (once we get over her goofy backstory) because she has been trained by a deadly immortal for years. 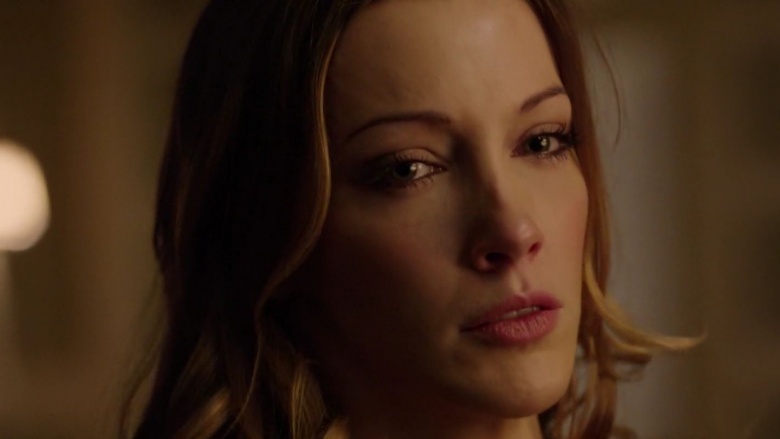 And then there's Laurel Lance. When Sarah dies (and before she comes back, of course), Laurel takes up the mantle of the Black Canary. Laurel was a character that the show never could get quite right—she bounced from being simple love interest to broken alcoholic to vigilante at a breakneck pace. She was never fully believable as a hero simply because we never see her receive anything remotely close to the training that the others had. Imagine, for instance, that Matt Murdock was a non-powered human lawyer who one day just decided to put on a mask and fight crime as Daredevil. That's it: no powers, no training, no nothing. That may seem absurd, but that's the reality Arrow pushed in transitioning Laurel from lawyer to vigilante with little to no explanation. Okay, obviously, a show filled with near-death escapes is going to have more than a few moments of "oh, c'mon, he is so dead!" Oliver is our protagonist, and he possesses the kind of plot armor that keeps him alive despite increasingly asinine scripts and situations. One moment, however, was just beyond belief: when Oliver first duels with the immortal Ra's al Ghul on his home turf, he loses. Badly. How badly? He's stabbed through the chest and kicked off of a snowy cliff, seemingly plummeting to his death. Spoiler: he obviously did not plummet to his death. Instead, his body landed on a mountain overhang for four days until he was found and healed. To reiterate: our completely superpower-free protagonist was stabbed through the chest, kicked partially down a mountain, and sat in below-freezing temperatures for 96 hours with no medical treatment and very little clothing. I'm just going to go ahead and call it: Oliver died on that damn mountain, and the rest of the show is just what passes through his head as he's dying. You've got to admit, it would explain a lot about the show's quality as it goes on. Arrow has had a really solid run, but it's undeniable that the show is chasing the dragon—constantly trying to recreate the glory of season 2 and the ultimate showdown between Oliver and Slade Wilson. In doing so, it's undermined viewers' ability to suspend disbelief with magic, resurrection, and Felicity's completely improbable hacking exploits. 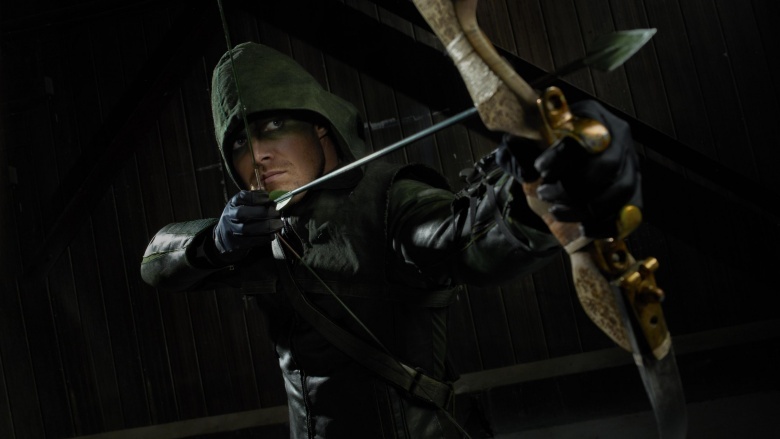 Much like Oliver Queen periodically returns to his island after a harrowing adventure, it may be time to put the arrows back in the quiver and hang the green hoodie up for good.